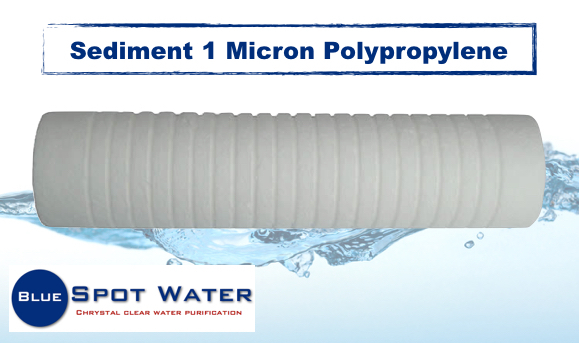 The Polypropylene 1 Micron filter is normally your first filter in a water purifier. People like to refer to it as the sediment filter. It helps to protect the rest of your filters and take out sediment that you can see for example: sand, worms, leaves, rust, dirt, ect. This filter is useful when sediment is found in your pipe system and will filter out the bigger particles. It is recommended to replace this filter every 10 � 12 months.